Steve Lambert made a flute solo sound as tough as nails last night. The outstanding multi-instrumentalist leads the 627 Big Band at the Green Lady Lounge every Sunday. Contributions from notable musicians including saxophonist Brett Jackson, trumpeter Stan Kessler and organist Paul Roberts also shone. Lambert’s formidable ensemble is one of several active big bands that continue to infuse Kansas City’s jazz scene with vitality. Walter Smith III will perform at the KU Jazz Festival on Friday, March 4. The saxophonist from Houston is a bandmate of Kansas City’s Logan Richardson in the Next Collective. *Laura Spencer of KCUR reports on the Mutual Musicians Foundation's makeover. *The Green Lady Lounge was named one of America’s greatest jazz clubs by Gear Patrol magazine. *Bill Frisell’s concert at Atkins Auditorium was reviewed by The Kansas City Star. *Lee Hartman analyzed a performance by the Ensemble of Irreproducible Outcomes. *Pitch touts Friday’s concert by the Kansas City Jazz Orchestra. *Joe Klopus notes the week’s highlights in his latest column. *Rudresh Mahanthappa discussed the legacy of Charlie Parker with Howard Reich. Stan Kessler, Plastic Sax’s Person of the Year in 2014, Larry Kopitnik, Plastic Sax’s Person of the Year in 2015, and author and radio personality Chuck Haddix are interviewed in a new three-minute feature about Kansas City jazz. The Ensemble of Irreproducible Outcomes, the trio of clarinetist David McIntire, trumpeter Ryan Oldham and bassist Brian Padavic, will perform on Saturday, February 20, at All Souls Unitarian Universalist Church. The group's set will include material from its 2015 album Memory and Weather. The Proença Band will present the world premiere of Kyle Gann’s “Proença” after the Ensemble of Irreproducible Outcomes' appearance. *Cheptoo Kositany-Buckner, the new CEO of the American Jazz Museum, was interviewed by The Pitch. *Live at Pilgrim Chapel, the new album by David Basse and Joe Cartwright, was reviewed by KCUR. *Dominique Sanders was interviewed by Fountain City Frequency. *Zach Albetta chatted with John Kizilarmut in a podcast for Working Drummer. *The Kansas City Star and The Pitch highlight Ambrose Akinmusire’s return to Kansas City. New reports by KCUR correspondents examine Kansas City’s Jazz District from three angles. The taxpayer investment, tourism challenges and aspirations of people who work in the area are analyzed. KCUR’s fine work is commendable, but I’m compelled to address a blatant distortion that's often accepted as fact and a commonly held misconception. 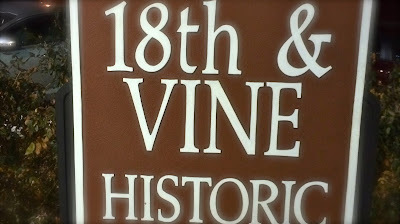 I've visited 18th & Vine about 20 times a year since 2000. Even though I don't live in the Jazz District and I'm rarely out past 1 a.m., my experiences might be instructive. Parking. Even when attending large-scale jazz and R&B festivals in Parade Park, I've never had to park more than four blocks away from these events. When attending concerts at the Gem Theater or shows at the Blue Room, I usually park less than 500 steps away from those venues. I'm baffled when journalists and public officials lament the absence of a parking garage. Safety. Visiting the Jazz District was once a dicey proposition. 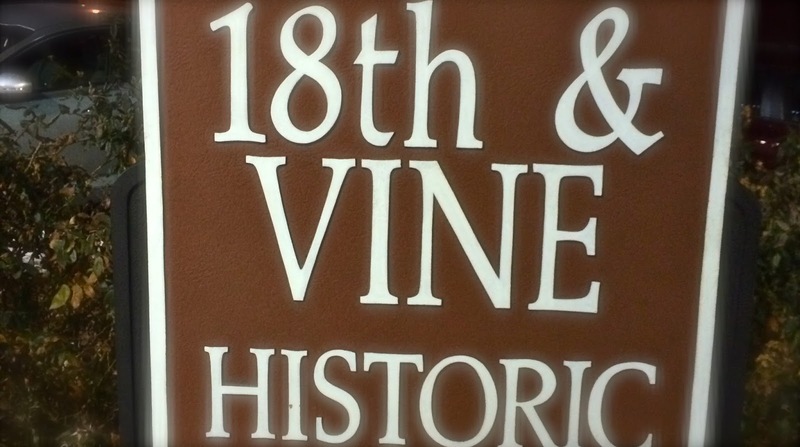 I had an unsettling encounter near the intersection of 18th Street and Paseo Boulevard in the late 1980s. That's a distant memory. I haven't experienced a single safety-related incident in the approximately 300 times I’ve been in the Jazz District in the last 15 years. Kim Waters’ sultry music is ideally suited for inclusion on playlists between mood-setting songs by Sade and Luther Vandross. The saxophonist will provide copacetic entertainment for smooth jazz enthusiasts this Valentine’s Day weekend in his concert at the Gem Theater on Saturday, Feb. 13. *Clint Ashlock was featured in a seven-minute segment of KCPT’s Arts Upload program. *Larry Kopitnik ponders the print medium in a revealing KC Jazz Lark post. *Mike Metheny’s Twelve For the Road was reviewed for KCUR by Mike Warren. *The Pitch touts a performance by a band led by Nate Nall. *Joe Klopus notes Kim Waters’ forthcoming appearance. *From Paul Shinn: It's been a while since our trio has been at the Green Lady for an extended run, so we are very excited for this opportunity to provide you all with some new music as well as some older favorites as well! You can find us next weekend at the Green Lady at the following times: Saturday, February 13th 9pm-1am, Sunday, February 14th 530-830pm, Monday, February 15th 8pm-12am. We are returning in celebration of our new album release entitled Into That Good Night. Funded by a grant received in the summer of 2014, this CD features six new compositions as well as a few select standards. The last thing the members of Wednesday's audience of about 125 at Unity Temple on the Plaza expected to hear was hip-hop. Yet Bukeka Shoals began her appearance at Spirituality and All That Jazz with a funky song that featured a rap segment. The vocalist, flautist, songwriter, actor and motivational speaker also performed pop, gospel, R&B and contemporary jazz. Assisted by keyboardist Angela Ward (and Ward’s 13-year-old son on drums for a selection or two), Shoals was full of surprises. The senior citizens in the audience forgave Shoals for her foray into hip-hop during lovely readings of “My Funny Valentine” and “Do Nothing till You Hear From Me” and cheerfully clapped along to a lively version of “Respect.” Saxophonist Jim Mair unleashed his inner King Curtis while bassist James Albright evoked Duck Dunn on the R&B standard. A rendition of Shoals’ original composition ”Be Happy” was pleasing, but the evening’s most memorable selection was an emotional a cappella interpretation of a gospel song. The concert began with a rendition of bandleader Tim Whitmer’s “Player Piano.” The opening tune exemplified the primary appeal of the monthly series- toe-tapping, smile-inducing jazz accentuated by melodic solos. Ambrose Akinmusire, one of the most exciting artists to emerge in the new millenium, will perform at the Blue Room on Thursday, February 18. A tour schedule posted by Blue Note Records indicates that Akinmusire will joined by his longstanding band of pianist Sam Harris, bassist Harish Raghavan and drummer Justin Brown. The quintet is featured in the embedded video. *The Pitch previewed Deborah Brown’s appearance at the Blue Room. *Mills Record Company featured Chris Hazelton’s latest single at its blog. *The Kansas City Jazz Calendar has been updated for February.